Brain research teaches us that making a connection to something familiar helps students remember. My students were recently working on linear measurement. One of the important concepts is remembering the different units, and having a good "feel" for the size of the units. 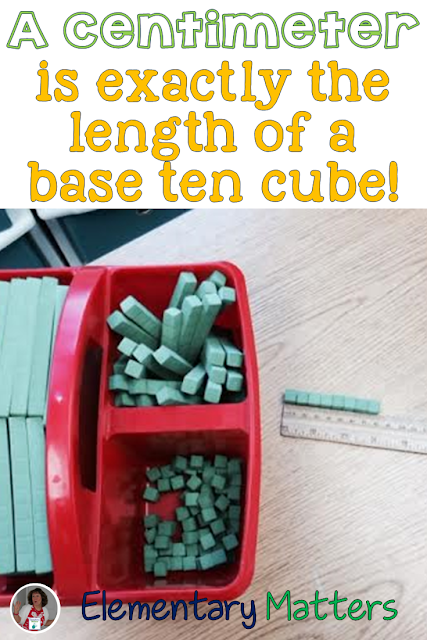 My kiddos are VERY familiar with the base ten blocks. It's an important part of second grade math, so we use them frequently. a centimeter is about the size of an M&M! They always remember that one! Again, they're quite familiar with those base ten blocks, and have often lined up two of the longs, so it's easy for them to estimate something that is 20 centimeters long! This trick for a foot was taught to me by one of our former custodians. Those custodians are pretty smart! 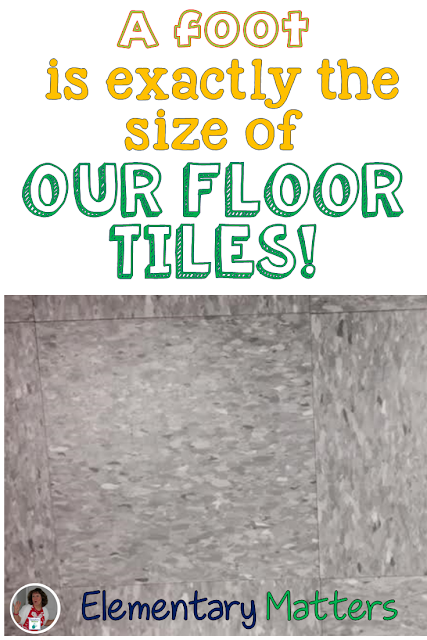 The floor tiles they used in our school are exactly a square foot each! 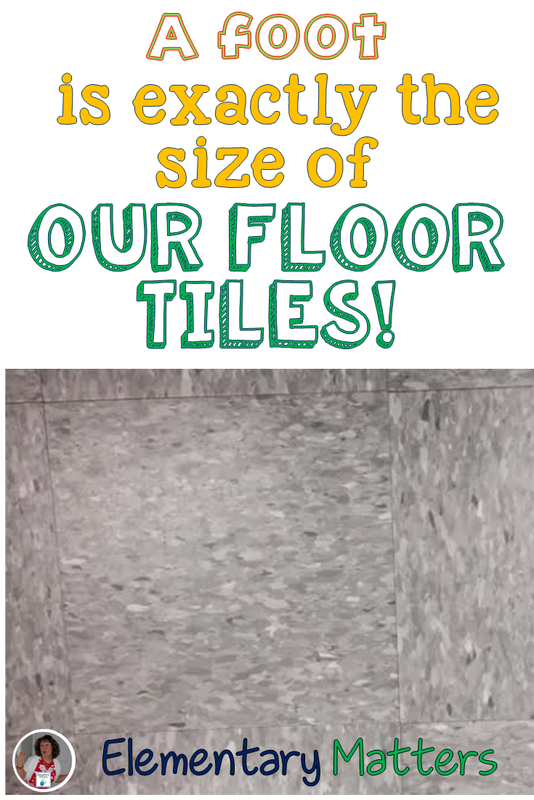 That makes measuring our floor super easy! Of course the kids have to get out the rulers and see for themselves, but it's true! Plus it sure helps the kids remember how big a foot is. You know what else helps them remember a foot? I hope you enjoyed this Bright Idea! You can find more of my ideas on Pinterest, facebook, or Teachers Pay Teachers. 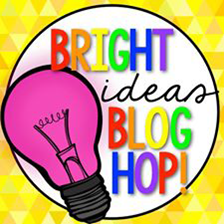 Be sure to check out more bright ideas through the linky below! This is wonderful! 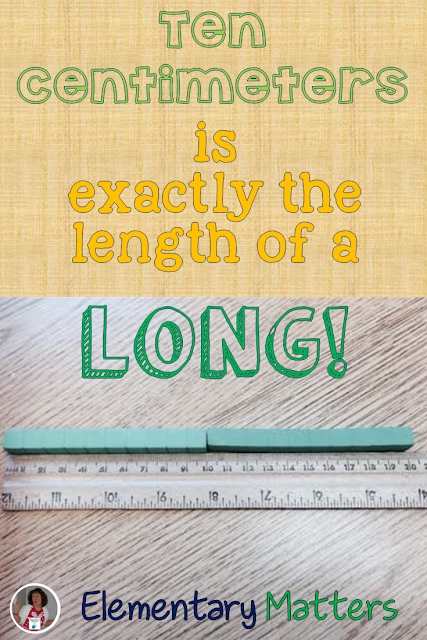 Aren't we always trying to bring math concepts into the real world AND problem solve other ways to measure with non-standard measurement? I am - and this is perfect. I'm going to take a look around my room and see what else I can find. Thank you, Sally! Great idea! I never knew about the measurement of an M&M! My head is spinning with the possibilities of that! Thanks so much! M&Ms are a tiny bit bigger than a centimeter. I think the minis are the perfect size. Love the idea of using an M&M. You can be assured we will be doing that this week! You know what else they love? 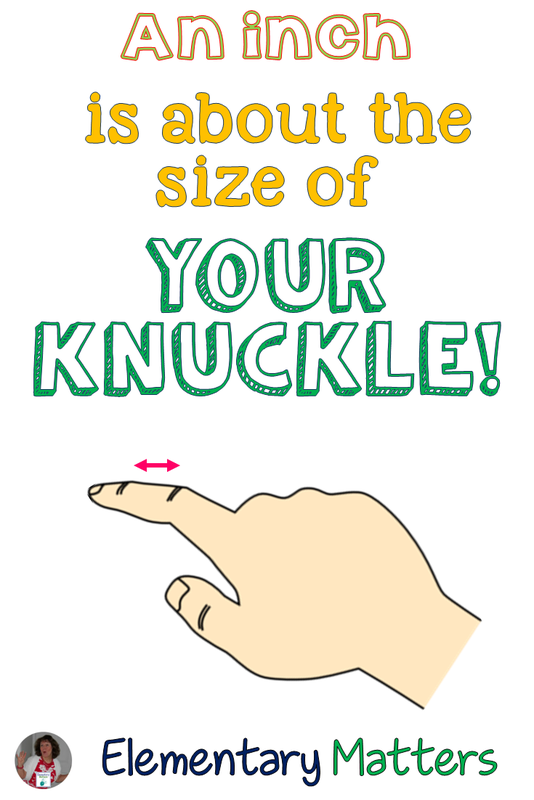 Your foot (adult) is about the length of a ruler (a foot), but more than that....your foot is the same length as your forearm, (the distance between your elbow and wrist). 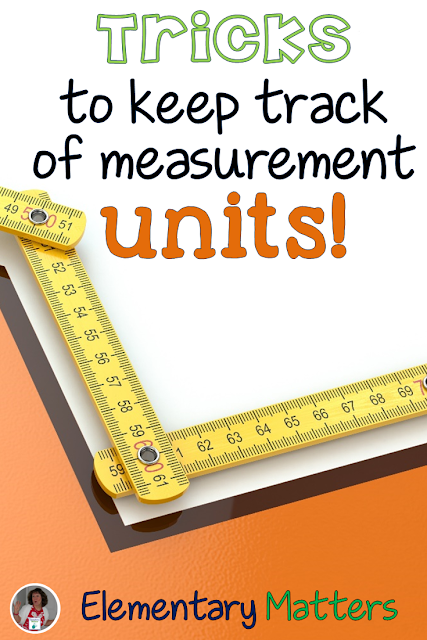 I love measurement! Math can be fun!! The M&Ms are pretty cool. I have freakishly small feet, so mine are nowhere near 12 inches. (Several of my second graders have feet bigger than mine!) That's cool about the forearm!